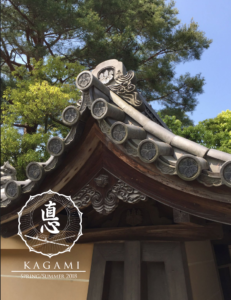 The latest Kagami Newsletter is now available to read. If you want to learn more about our styles of swordsmanship, these two books are a great grounding in the history of our style as well as visual guides to our waza and practice. Both books are available to buy on Amazon. Flashing Steel, the best-selling and highly acclaimed book on iaijutsu (alternatively called iaido), is as much about bringing life into focus as it is about techniques of swordsmanship. Iaijutsu was the martial art of the samurai of feudal Japan who remain the most enduring of warrior icons, equally popular in the East and the West. Iaijutsu sword training has philosophical tenets that inform the warrior’s life, building compassion and self-discipline both inside and outside the dojo. Shimabukuro Shihan and Pellman Sensei combine practical exercises, photographs, and historical and cultural context in a thoughtful guide to this most popular of Japanese sword arts. The book features Master Masayuki Shimabukuro’s renowned expertise and classical training, with Leonard Pellman adapting the information for a Western audience. Included here are dozens of kata (formal training patterns) that govern iaijutsu, with partner exercises applying the principles of the art in realistic attack and defense situations. These kata are also widely practiced by students of kendo, aikido, and other sword-based martial arts, giving the book a wider relevance beyond iaijutsu. This second edition of Flashing Steel includes new techniques, updated photographs, and theoretical explanations for both new and existing sword forms. Describing the principles and techniques that define Japan’s most popular style of swordsmanship, this martial arts manual gives practitioners master-level instruction. This book is a collection of the most effective and proven fighting methods spanning from the feudal to the modern eras. It illuminates the art with masterful photography and is accompanied by in-depth descriptions of the methods perfected by Japan’s ancient warrior class. If you know and read anything about Miyamoto Musashi you will have come across books by William de Lange. These books a great material for practitioners of Hyoho Niten Ichi Ryu – Musashi’s Kenjutsu school which we practice here at Nishimon Dojo. I managed to connect with William on social media and asked him if we could run a mini interview, which you will find below. You will also find links to his Musashi Books at the foot of this article…. Why did you decide to focus on Musashi when so much has been written already? Good question. A decade ago I did not envision ever writing a book on Musashi. There was already so much out there that I felt it wasn’t necessary to add yet another book. It was for that reason that when I began to research and write my series on Famous Japanese Swordsmen, I decided not to include Musashi. This to the consternation and frustration of some readers. Yet as I delved more and more into the fascinating lives of these men and the times they lived in, I began to come across more and more original Japanese sources mentioning Musashi. And what they told did not always stroke with what has become the general image of Musashi in the West. There are, of course, the most glaring misconceptions. 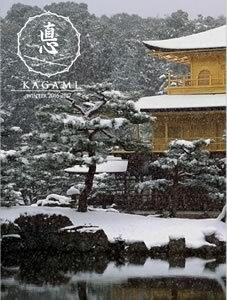 That he took part in the Battle of Sekigahara (1600), for instance. In Japan it is now well known that this due to Eiji Yoshikawa’s partly fictional but hugely popular account of the swordsman. To add dramatic tension, Yoshikawa had Musashi fight on the side of Japan’s western warlords, who were beaten by the eastern warlord, Tokugawa Ieyasu. Instead he fought on the side of the eastern forces, not at Sekigahara, but in the Battle of Ishigahara (1600), on the southern island of Kyushu. That story is just as fascinating, as it is recounted in wonderful detail in the Bushu denraiki, one of the first serious records on Musashi. Was there anything you found in your research that really surprised you? Research-wise, what surprised me most was the number and variety of classical sources on Musashi. They range from original accounts of battles, sieges, duels, local histories and topographies, clan records, and roll calls. Most of these were unknown in the West. As a result, Western knowledge on Musashi is far behind the Japanese, something bourn out by the at times diametrically opposed Japanese- and English-language pages for Musashi on wikipedia. Once I had completed my famous samurai series, I therefore decided to translate each and every one of these old texts, partly to make them available to the English reader, partly so they might serve as a foundation for a possible full biography. The result was a body of text comprising 150,000 words, which has meanwhile been published in the three-part series The Real Musashi: Origins of a Legend. Yet it was only when I actually began to write the full biography that I realized what a towering figure Musashi is in Japan’s martial history. There is just no swordsman who equals him in the range and depth of his work—from the founding of a totally new and unique school of fencing with two swords, his extensive travels, his war experience, his duels, his many, many followers (who already then numbered in the thousands, his work for powerful warlords in the design of castles and fortifications, as well as tea gardens, down to his always practical philosophy on the art of swordsmanship as condensed in his famous Gorin no sho, the Book of Five Rings. One could reasonably argue he was a true Japanese Leonardo da Vinci, certainly where feudal traditions are concerned. Are there any written about myths that you couldn’t find any evidence for during your Musashi research? Which English language version of the Go Rin No Sho do you prefer? They all have their strengths and weaknesses. Scott Wilson’s version is very good. Being a translator first and foremost, he picks up on the literary nuances and manages to convey some of the more poetic flourishes. Still, you can tell he is not a practitioner. As a result he is less good on the technical advice Musashi gives, which is always to the point and down to earth. This is where Kenji Tokitsu is really good, since he is a lifelong practitioner of the martial arts. He, on the other hand, is not as good a translator as Wilson, so he is less good at the more literary stuff. As I said, I’m currently working on a history of the Yagyû clan. Spanning close to half a millennium, it is a fascinating one, with lots of ups and downs. Indeed, there are many moments you think they just cannot survive. Yet like the pliable willow tree, from which they take their name, they somehow bend with the raging storm, and remain standing to continue their proud martial traditions. Yes, thank you for your interest in my work. And if any of your members wants to know more, please feel free to contact me through my website. Signup to receive email updates and to hear about what is going on with us! Nishimon Dojo is a Japanese Sword School based in Thanet, Kent. We are registered with the KNBK and DNBK organisations respectively as well as registered members of the HNIR - UK Shibu.